The Multiple Clipping Paths are very demanding as it allows the user, professional graphic designers and photographers to create a number of layers in Photoshop tool. Along with the rapid progression of modern tech, online business or digital business world gets bigger day by day. And one of the main aspects is E-commerce business, which of-course promote brand products. For proper branding in the Internet business, product image plays the most crucial role and that is where multiple clipping path shows its charisma. Whether you’re about to start an online business through a well-built E-commerce site, or thriving for proper branding in front of mass online audience, multiple clipping paths shall be the handiest option to consider to edit your product images properly. This is the reason, for what people love it and go for it. Due to that, it’s an honor to say that we have a highly experienced team who is always ready to bring the best and amaze you by their work. We provide the high-quality and fastest multi clipping path service in the country. Photoshop Multipath – What’s It? Practically, multiple clipping paths or multi clipping path is a procedure of altering color aspect of a single image or a certain portion of the image, adding extra color effect, making color correction/re-correction, etc. That very technique also comes very handy for those types of images that require partition of parts and also modify the color of each individual object proximately. At the beginning, we said multipath is very demanding. Because it can also be used for image shadow effect, multiple texture, edit different kind of shade, adjusting color or individual part of a picture, add style, and more. This whole process is also needed to cut some parts or objects from the picture for additional image manipulation/image editing in Photoshop. That is why the appeal of multi clipping path service is getting substantial day by day. Today, we will go through the features, necessity, and different types of multiple clipping paths and eventually we’ll reveal why choosing us for offshore clipping path or multi clipping path service shall be the best decision for you. Though we just saw what can be done with multipath, we can’t deny the additional features this photo editing service carries. Let’s check out some of the definite and most useful features of multi clipping path through the following points. 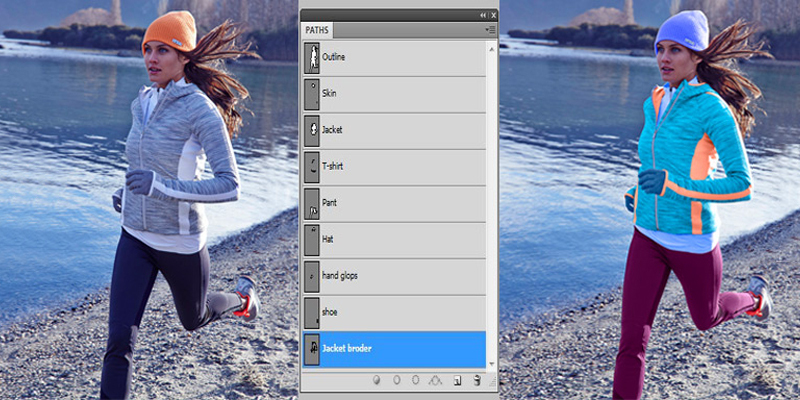 A perfect solution for adding multiple filling effect in any image or photographic picture. Modifying the image opacity, adding different type of effect and edit filtration. Color correction/re-correction in typical complex images. Creating multiple layers in images for various kinds of usage. Making tonal and shade correction. We are International Graphic Design Outsource Service provider from last couple of years. Photo Editing Park are attains World Class service in Graphics Production. Our principal activity is Image Clipping Path, Photoshop Multipath, Image Masking, Photo & Jewelry Retouching, Color Correction, Drop Shadow, Reflection Shadow, Background Remove Service, Real Estate Images, eCommerce Image Editing etc. Pollobi, Dhaka - 1216, Bangladesh.